-Folding Frame Stand: 6.5ft max. fully extended height and 2.2ft min. height. -Heavy-duty Aluminum Crossbar: Section removable crossbars adjust width from 5 to 10 feet. -Pack of 6pcs Backgrop Clamp: 4" long with 1.5" maximum opening. -Made of high reflective cloth, anti-creeping ceramic lamp-socket and 9ft/2.8m long cable with US plug. 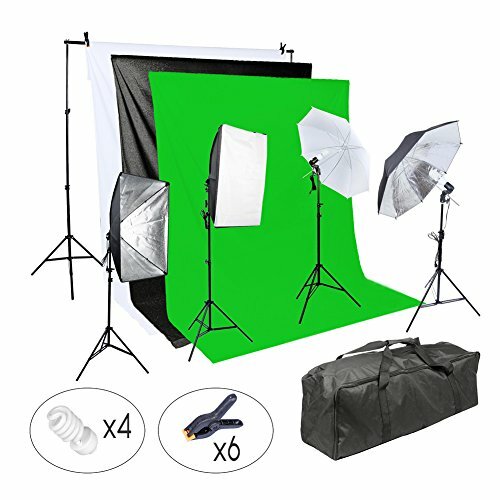 -Works well to soften, broaden and diffuse the light output of any tungsten or studio flash source. -Help to reduce shadows and produce an even, soft, low contrast light over a relatively large area. -Max. tube diameter: 22mm / 0.90"
If you have any questions about this product by Lightdow, contact us by completing and submitting the form below. If you are looking for a specif part number, please include it with your message.